The Slowly Boiled Frog: "Hillary Clinton Wants Men to Use Women's Bathrooms"
"Hillary Clinton Wants Men to Use Women's Bathrooms"
That is the title of a new video from Catholics for America, a 501(c)4 organization. I have requested a copy of their 2014 tax return which doesn't seem to be publicly available. Furthermore, their website tells us nothing about their leadership. Their domain registrant is Peter Hodges out of Oklahoma. He seems to be an auto dealer. You would think that an apparently religious organization would have more respect for the truth. Then again, few of them do. Sec. 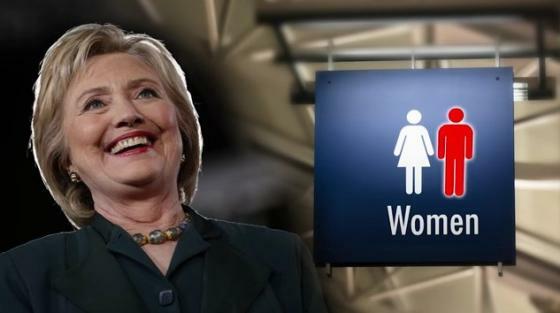 Clinton doesn't “want” men to use women's restrooms. Transgender adults have been using identity appropriate public bathrooms for decades and go unnoticed in doing so. 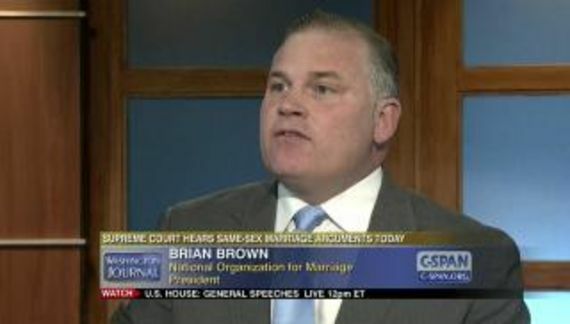 The current controversy is largely about transgender children in public school. Conservative Catholics accept Church doctrine over medical science to insist that there is really no such thing as a transgender person and that shapes part of their thinking. What all this noise is about is possibly one or two kids in a public school who are gender non-conforming. Allowing them to use the bathroom that they are most comfortable with doesn't compromise anyone's privacy and it sure as hell does not pose a danger to anyone. By the way, isn't Donald Trump's position the same as Sec. Clinton's? Some of these self-righteous prudes need to get off of their knees and get a life.